What may be the best live music club in Colorado will have its grand opening on August 7. During its opening weeks, the Mission Ballroom will host everyone from George Clinton and Parliament Funkadelia to 2019 multi-Grammy-winning country songstress Brandi Carlile. 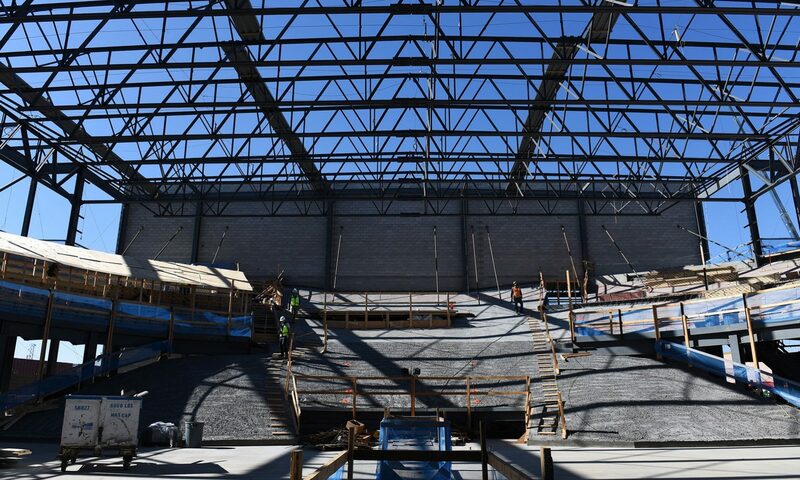 As the focal point of the new North Wynkoop development in Denver, the Mission Ballroom will feature a unique stage and layout where music fans can experience some of the best sightlines and one of the best sound systems in the country. Where Is the Mission Ballroom? AEG took eight years to find the perfect location for a concert venue that would cater to both fans and the touring artists who frequent venues with the capacity of the Beacon Theater in New York City or Austin City Limits’ Moody Theater in Texas. It ended up being in the RiNo neighborhood, in the North Wynkoop development that will include a mixed-use hotel, restaurants, retail and office space, as well as residential units. Once completed, the project will also boast an open pedestrian plaza envisioned as a place for outdoor festivals. But for music lovers, the Mission Ballroom, located at 4242 Wynkoop Street, is the attraction that will hold it all together. Just a five-minute walk away from RTD light rail’s 38th & Blake Station, it’s also minutes away from access to I-25 and I-70; once completed, the development will have 240 parking spaces in an underground garage as well as abundant bike parking. The entire area will be an exciting destination for locals and out-of-town visitors to Denver. Speaking of the stage, it moves and transforms to create a perfect experience no matter who is playing, and is the first of its kind in Colorado. The Mission Ballroom will allow every artist and act to connect with their audiences on a more personal level because of the tailored stage setup. In addition to hosting a lineup of international artists, the Mission Ballroom’s open layout will provide a perfect space for weddings, trade shows, private events, awards shows, receptions and other special occasions requiring a large space. The dance floor can accommodate displays, exhibits and trade-show tables and booths, as well as decorations that will turn it into a unique space for multiple-use events. To learn about all types of music events coming to the state in 2019, contact the Colorado Music Hall of Fame. Colorado has some of the best concerts and festivals in the world, with more than 150 shows planned for Red Rocks this summer, as well as other special events ranging from the Five Points Jazz Festival to the Levitt Pavilion Denver concert series. Don’t miss some of the greats that consider Colorado the best place to perform in the country. Previous PostPrevious Who Is Joe Walsh?